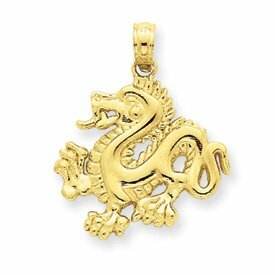 This 14k Solid Polished Dragon Pendant is made with expert craftsmanship and can be worn everyday for a lifetime. We guarantee that our gold jewelry is made with authentic solid gold. Treat yourself to the luxury of brilliant solid gold that will never go out of style.